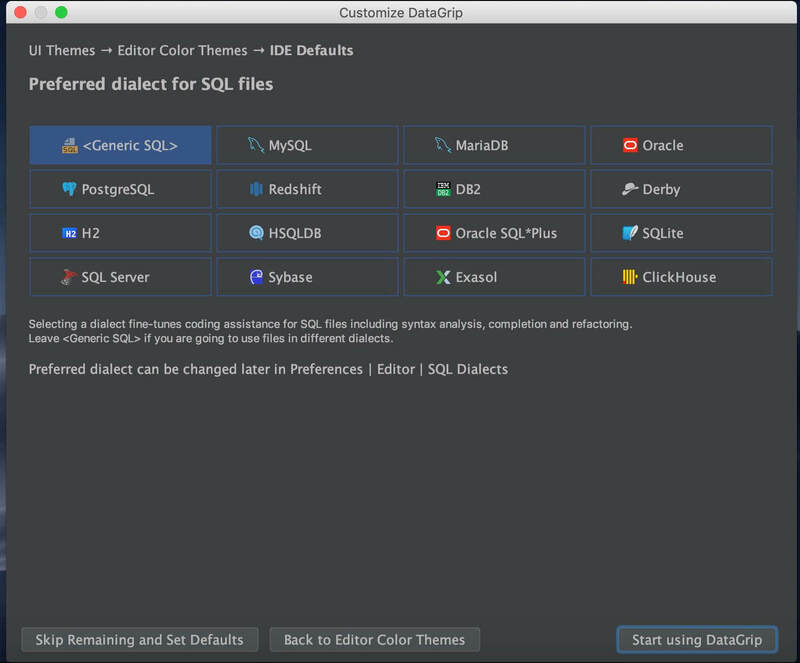 DataGrip is a new database IDE that is tailored to suit specific needs of professional SQL developers. Intelligent query console: allows you to execute queries in different modes and provides local history that keeps track of all your activity and protects you from losing your work. Efficient schema navigation: lets you jump to any table, view, or procedure by its name via the corresponding action, or directly from its usages in the SQL code. Explain plan: gives you an extended insight into how your queries work and into database engine behavior so you can make your queries more efficient. Smart code completion: DataGrip provides context-sensitive code completion, helping you to write SQL code faster. Completion is aware of the tables structure, foreign keys, and even database objects created in code you’re editing. On-the-fly analysis and quick-fixes: DataGrip detects probable bugs in your code and suggests the best options to fix them on the fly. It will immediately let you know about unresolved objects, using keywords as identifiers and always offers the way to fix problems.